This statement came from the lips of my roommate’s sister… whom I’ve never met. I had to laugh out loud when I heard this, though, because it’s completely true. In fact, in my cupboard is a larger-than-life bag full of quinoa I gleaned from the bulk-foods aisle of Good Foods (Lexington’s grocery co-op) during the last owner discount day. 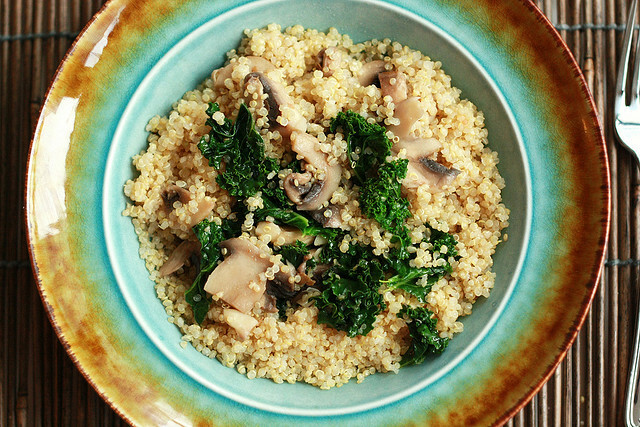 Quinoa is one of my favorite grains, and you’ll often find it on my dinner plate as the base for a stir-fry or mixed in with fresh greens as a lunchtime salad. It cooks more quickly than rice (which I inevitably forget to make on time when preparing meals), it’s one of the highest protein grains you can find, and it has a nutty flavor that’s delicious on its own with just a little salt and pepper. But as much as I value fresh, local, nutritious food, I’ve never thought of my diet as anything other than normal. However, the problem with the modern American diet is that our taste buds have been fried. Fresh, local, REAL foods have been replaced by highly processed, highly salted, unflavorful, quick-grab alternatives that have not only watered down our culinary options, they have denied us the pleasure of the cultural act of eating. In fact, it’s nearly impossible to find anything that isn’t riddled with hard-to-pronounce chemical compounds. Thou shall not consume chemical preservatives. If I can’t pronounce it or draw it, I can’t eat it. Thou shall limit the intake of refined grains and sweeteners. If I can make something without all-purpose flour or white sugar, I’m going to make it happen. However, if I make something that does include one of those ingredients, it must have an equal amount or more of its non-refined counterpart. If I have ½ cup of all-purpose flour, I also must include at least ½ cup of whole-wheat flour, oats, quinoa (yay!) or a combination of these or another whole grain. If I have a ¼ cup of white sugar, I must also include a ¼ cup of honey, agave or turbinado sugar. Thou shall eat local meats, dairy and veggies when possible. 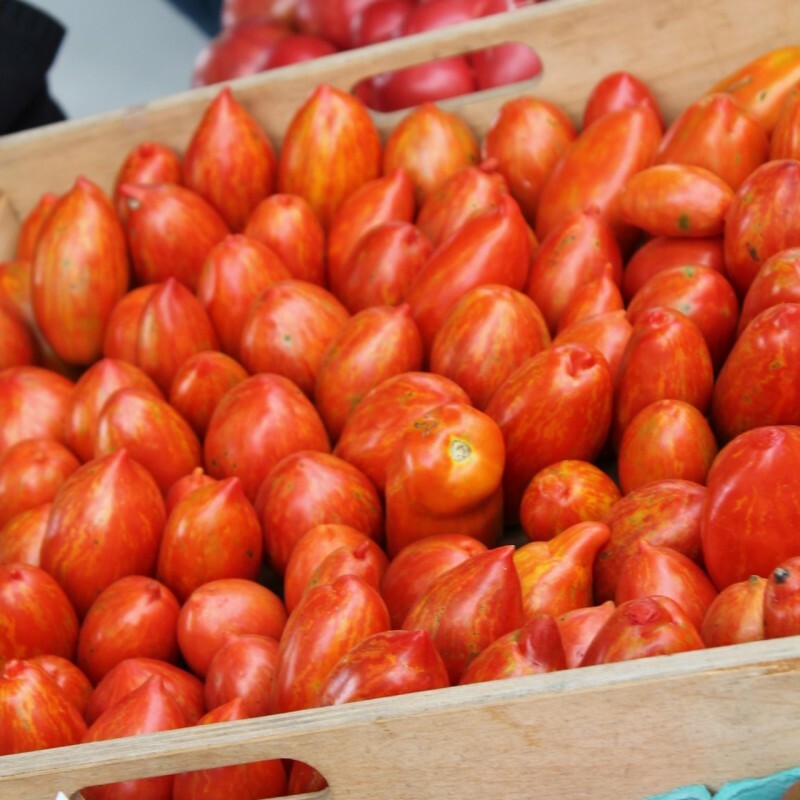 I love supporting my local farmers, and I try to whenever I can; however, a limited budget and limited time means I sometimes have to opt for a more convenient option. So while I’ll be stocking up on local goods during my planned grocery days, I’ll admit I won’t be as strict about this rule if I’m in a pinch or if I’m dining with friends. Thou shall avoid fast-food at all costs. Done. Thou shall not eat deep-fried food. (Slightly less confident) done. Thou shall only consume beverages consisting of water, tea, coffee, milk and all-natural juices. (Beer and wine are also allowed in moderation.) Easy peasy. 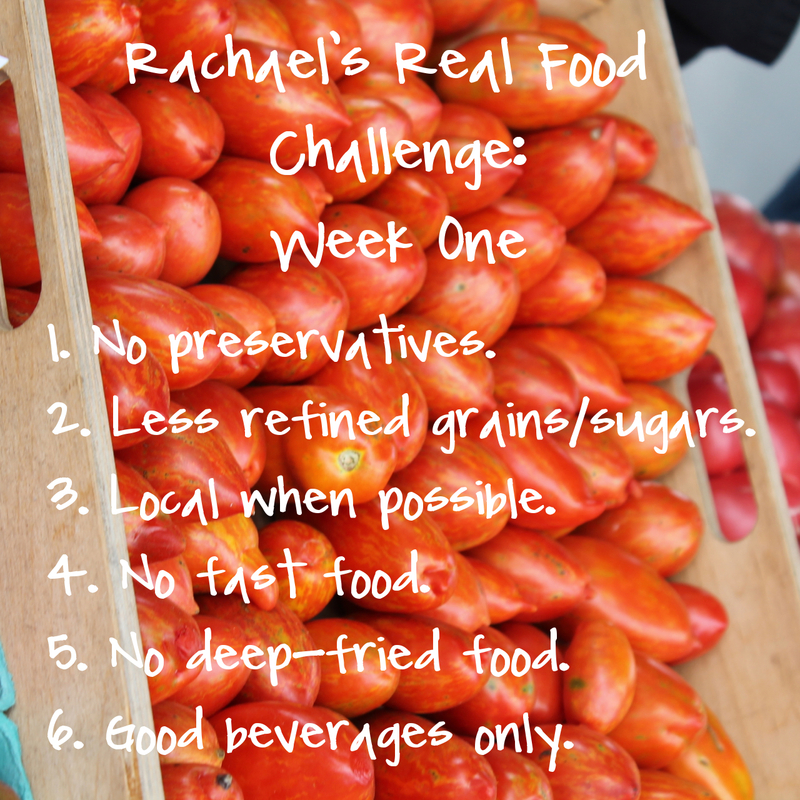 In the days leading up to January 1, I was a little nervous about taking on the Real Food Diet. And when I get nervous, I tend to focus on one minor detail. For example, when I’m nervous about going on a trip, I start obsessing over the idea that I might forget my hair straightener, completely pushing itinerary planning out of my mind. In preparation of Real Food January, bread became my obsession. I love bread. Peanut butter toast is my breakfast staple. I figured as long as I could make my own bread, I’d be set for this challenge. Thus I pushed all other menu planning out of my mind. 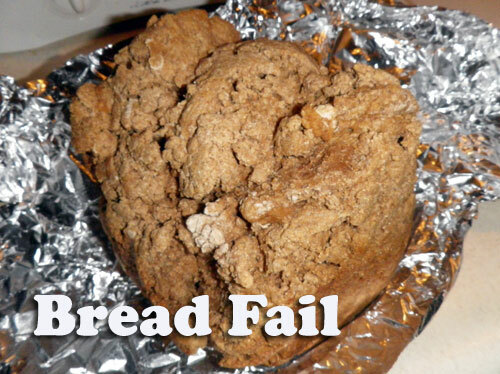 I pinned a bunch of bread recipes (that included whole grains, of course) on a designated Pinterest board. I even made a tester loaf. That didn’t go so well. I made another tester loaf (different recipe). That went much better. I was set—or so I thought. I woke up Jan. 1 ready to ring in a healthier 2013. I began cooking up some scrambled eggs (completely legal) and added in some broccoli and bell pepper to up the health factor. And then I sprinkled in some shredded cheese. Cheese (milk + enzymes) is okay. Shredded stuff that comes in a bag is NOT. This so-called “cheese” contains milk and enzymes, as well as host of other gross additives: calcium chloride, potato starch, corn starch, dextrose, calcium sulfate and natamycin (a mold inhibitor, of all things). It was 10:30 a.m. on Jan. 1, and I’d already committed my first Real Food Faux Pas. I’d like to tell you Day 1 got better, but it didn’t. I managed to scrape by on what little food I had in the house for lunch (completely real tortilla chips are a savior! ), when a friend invited me over for a traditional new year’s dinner of pork and sauerkraut. I didn’t look at the labels, but she assured me that preservatives were probably involved. Darn! Follow that up with the most depressing trip to the grocery one can take: Everything—from tortillas, to pasta sauce, to cheese, to table salt (table salt!! )—has preservatives in it, and if by some miracle it doesn’t, it costs three times as much! So, I’m off to a rocky start, but I don’t think this challenge is unconquerable. I’m holding on to the hope and confidence that I can pull off the Real Food Diet… on a budget… in the middle of January. I hope you’ll join me in my journey (and maybe send a few supportive recipes my way). Looking for the top kitchen design ideas Malaysias top listings are free stop searching and browse today!